With iOS 12.1 most likely be released to all users after the iPad Pro and Mac events on October 30, Apple has reportedly gone ahead and updated its digital “iPhone User Guide” of iOS 12.1. 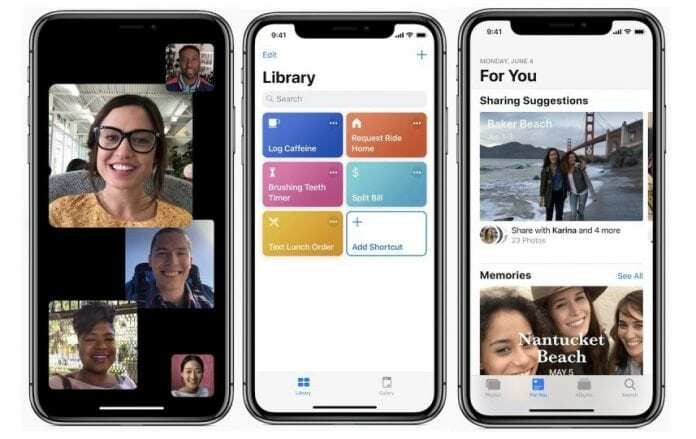 According to the newly updated iPhone User Guide for iOS 12.1, it will include Group FaceTime, dual-SIM support for its newly-launched iPhones such as the iPhone XS, iPhone XS Max, and iPhone XR, and the ability to adjust the depth of Portrait Mode pictures in the Camera app. iOS 12.1 will also allow users to conduct FaceTime video conference calls with up to 32 participants on a single group call. However, Group FaceTime has some limitations. Firstly, FaceTime itself is not available on all regions and secondly, older devices, specifically the iPhone 5s, the iPhone 6 and the iPhone 6 Plus, will only support the Group FaceTime feature in audio only. It will not allow more than two dozen people to do video calls on these older models. Further, devices like iPad mini 2, iPad mini 3, and iPad Air will also not support video Group FaceTime calls. Additionally, the user guide also notes that iOS 12.1 will also add features such as eSIM/dual SIM support for iPhone XS, iPhone XS Max, and iPhone XR. This will allow iPhone users to manage two numbers on a single device without the need to constantly swaps SIM cards. Further, the Apple Music app will now get new features with the upcoming iOS update such as updated artist pages, daily top-100 songs around the world, and support search for songs by lyrics. It will also bring 70 new emojis that will represent characters ranging from animals, food to sports and real-life representations. The new updated iPhone User Guide for iOS 12.1 is available for free via Apple Books Store.